Please complete the form, and we will send you a 3D printed sample. 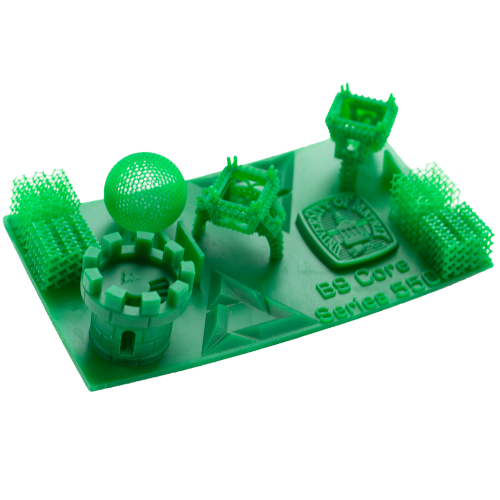 The sample part will help you visualize what you can create with a B9Creations 3D printer. Explore our materials to discover the one that fits your needs. 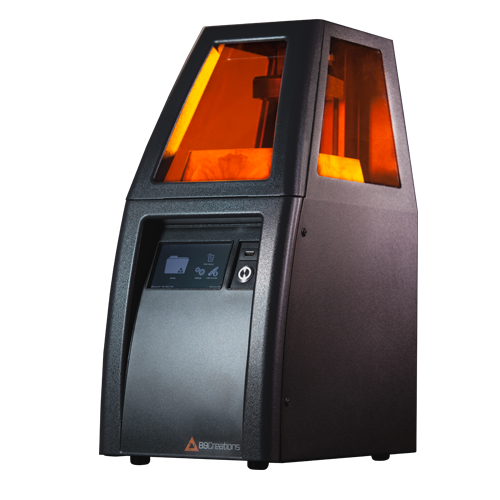 When your business requires repeatability, precision, and surface finish with industry-leading speed and production capacity, this 3D printer is your clear choice. Its low operating costs, networkable architecture for scalability, and ease of use make it a perfect fit for high-volume businesses. 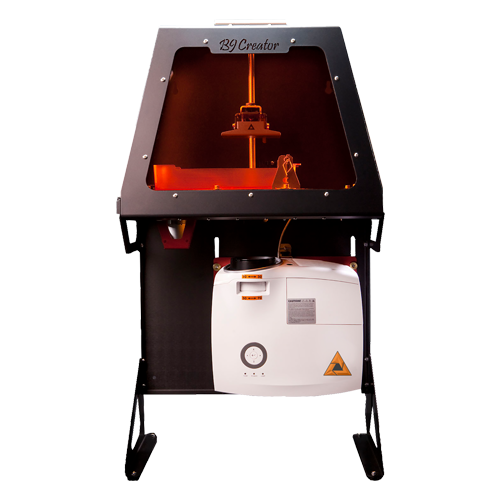 A powerful 3D printer that allows users to print as creatively as they design. 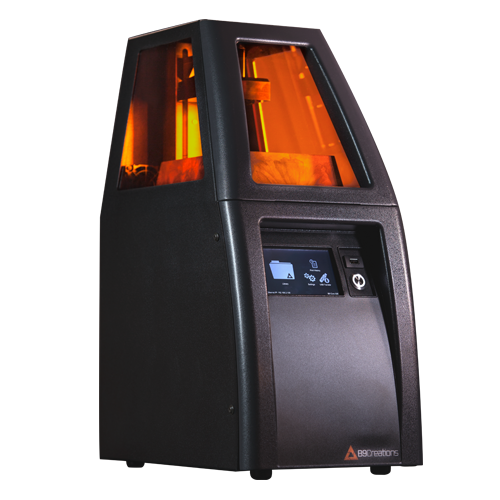 The industry leader in speed, simplicity, and value, this 3D printer is engineered to bring your most detail designs to life with one easy-to-use tool that delivers unbeatable, repeatable performance. 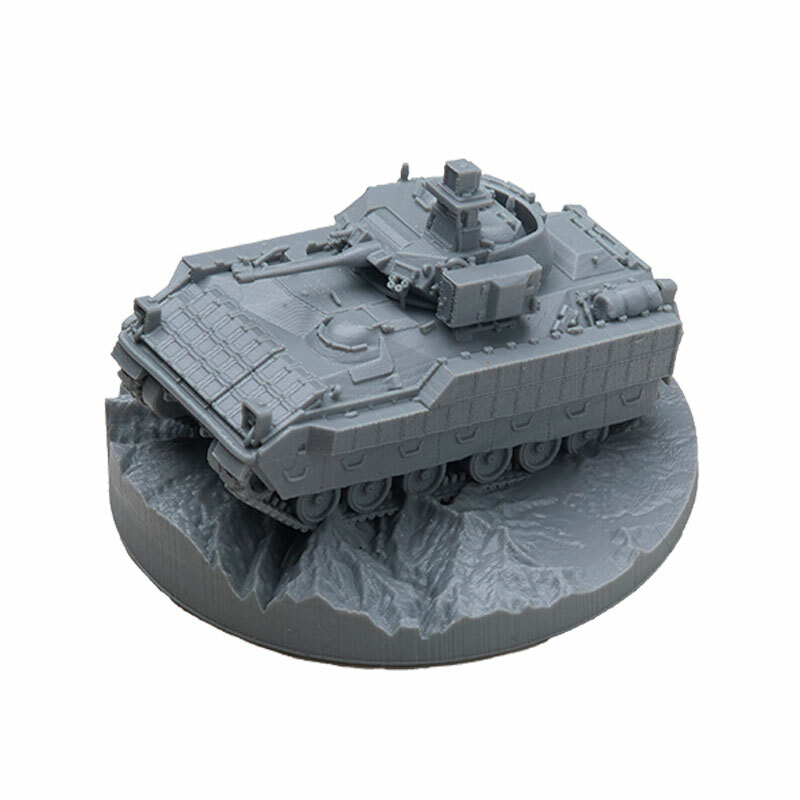 Black Resin is formulated for models with very small features and intricate details. 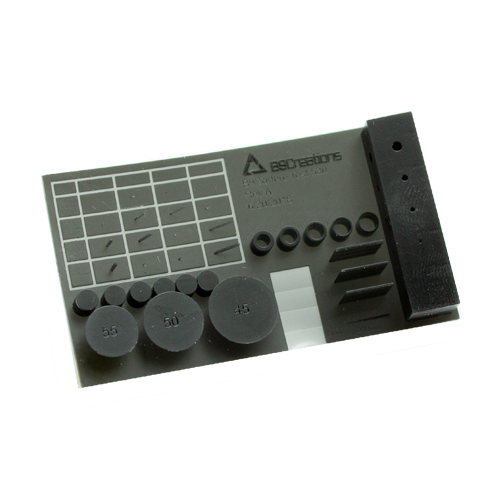 Excellent for creating vulcanized, RTV, or silicon molds. This sample print has a variety of application-specific features. Gray Resin is engineered for high-speed prototyping and design, with print speeds topping 120+ mm per hour and small models printed in 12 minutes. Strength properties similar to ABS plastic. 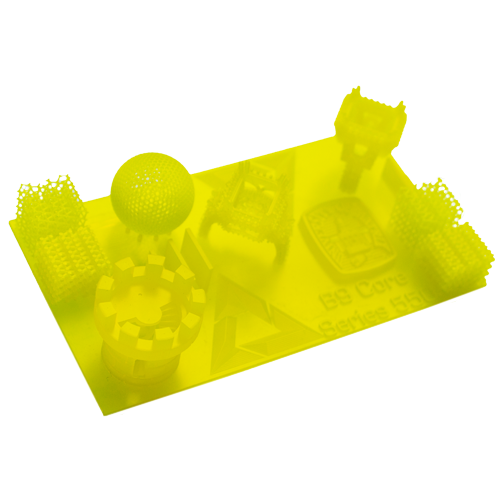 This sample print has a variety of application-specific features. 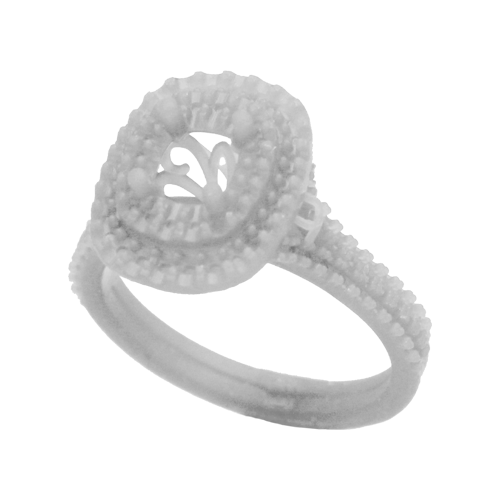 Emerald Resin provides clean burnout without staining the investment, enables casting of thicker objects, and prints with excellent detail to show the finest features of any design. 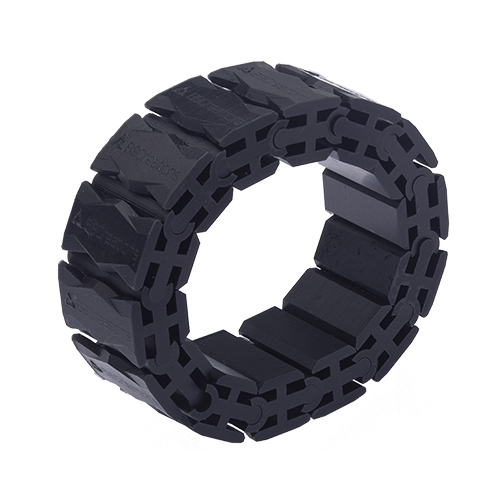 This sample print has a variety of application-specific features. 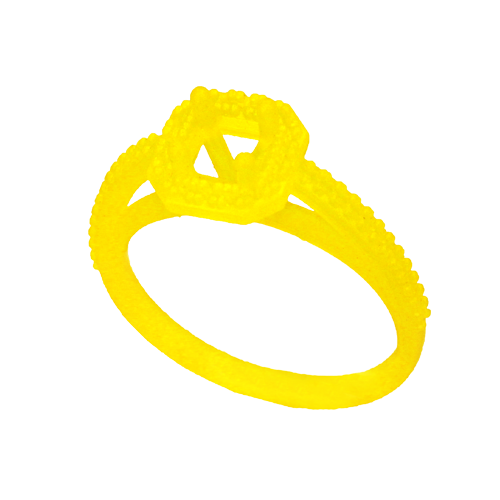 Yellow Resin is our premium casting resin with the cleanest burnout and no ash. Prints with excellent detail to show the finest features of any design. 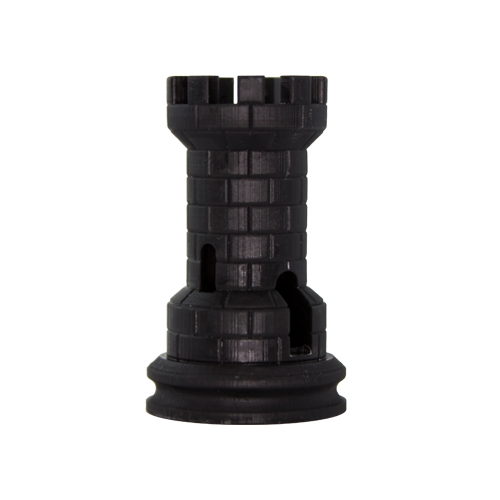 This sample print has a variety of application-specific features. 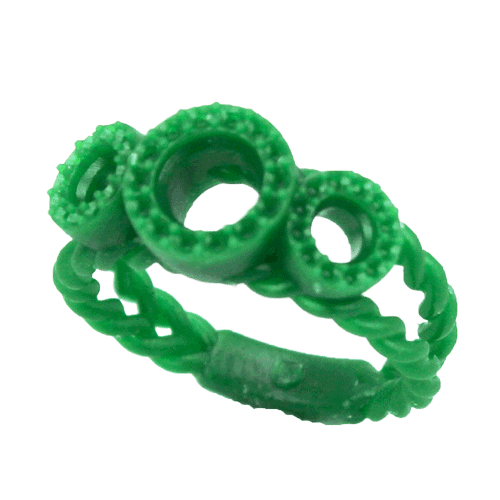 Emerald Resin provides clean burnout without staining the investment, enables casting of thicker objects, and prints with excellent detail to show the finest features of any design. Yellow Resin is our premium casting resin with the cleanest burnout and no ash. Prints with excellent detail to show the finest features of any design. 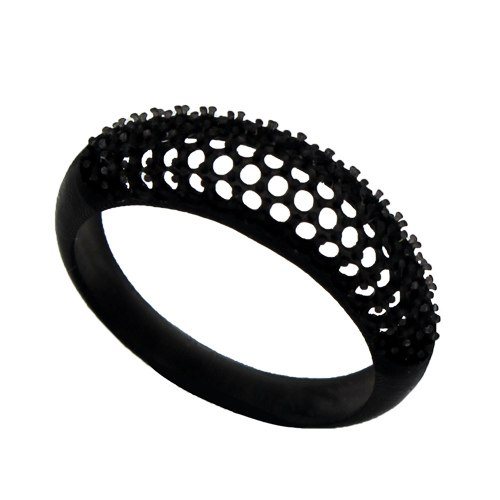 With rings printed in 12 minutes, Gray Resin is engineered for high-speed design verification and customer try-ons enables same-day sales. Black Resin is formulated for models with very small features and intricate details. 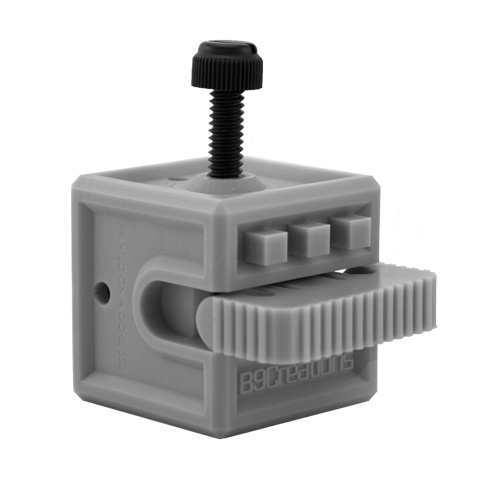 Excellent for creating vulcanized, RTV, or silicon molds. Gray Resin is engineered for high-speed prototyping and design, with print speeds topping 120+ mm per hour and small models printed in 12 minutes. Strength properties similar to ABS plastic. 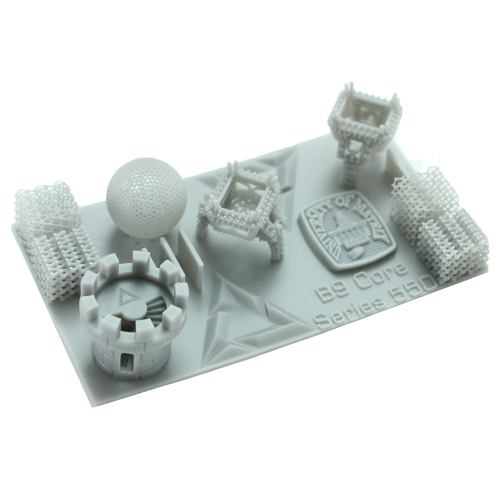 Formulated for highly detailed, microscale parts with thin walls and features. With no z-bleed, parts have crisp detail and excellent readability. Optimized for surface finish. Features as small as 100 μm. 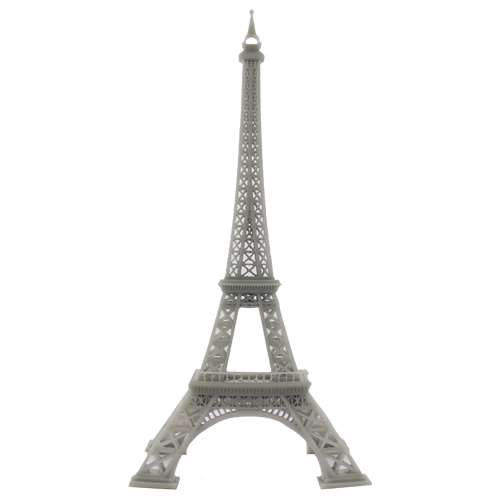 Precise detail is great for molding and model making. Gray Resin is ideal for dimensional accuracy, strength, and temperature resistance and is capable of extreme build speeds, reaching 120+ mm per hour, without sacrificing the surface quality. With strength properties similar to ABS plastic, it can extend your functional prototyping into production value. 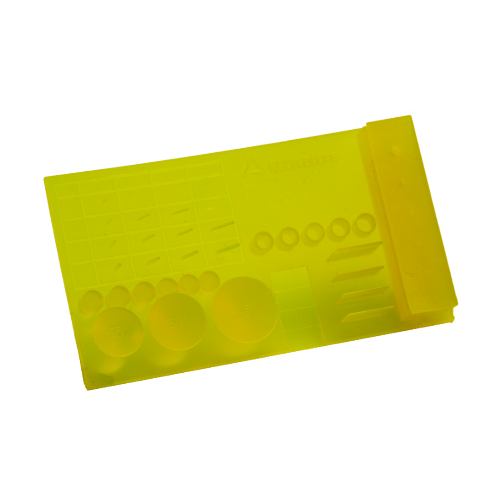 Our translucent Yellow Resin prints with excellent detail to show the finest features of any design. Ideal for microfluidics. Would you prefer a custom sample? Want to see your own designs come to life? Hold your design in hand and feel the B9Creations resolution. We'll contact you at the email address or phone number you provide below and arrange for you to send us your custom model file.